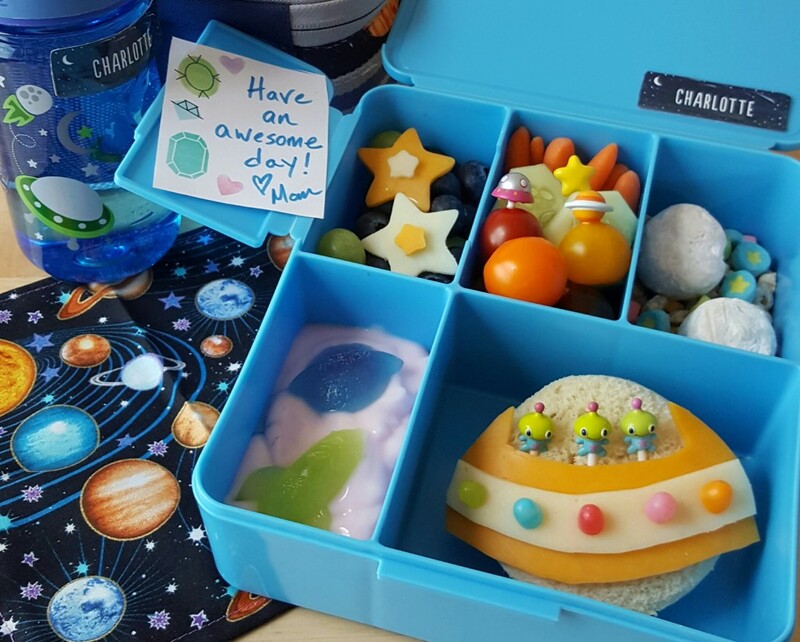 This space themed lunch was packed in a Spencer Bento Box from Pottery Barn Kids. 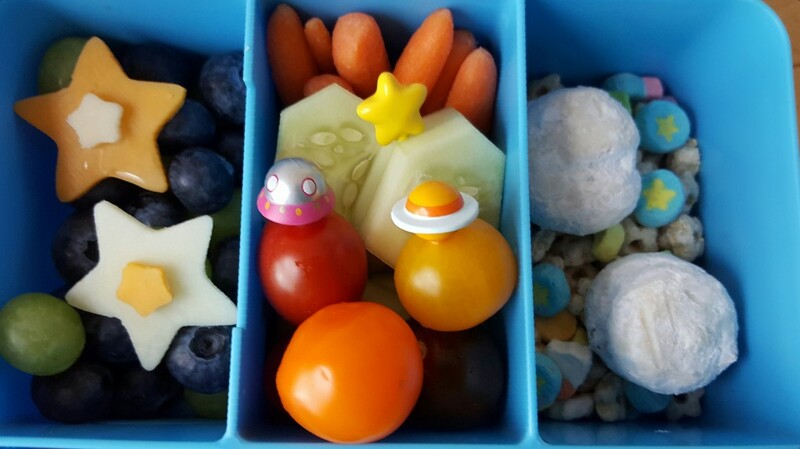 The lunch included blueberries and grapes in the upper left compartment with cheese shaped stars on top. The middle section of the top row held carrots, cucumber slices, and tomatoes accented with UFO and planet picks. The right section on the top contained star and moon shaped cereal with a couple of Wedding Cake cookies on top. The cookies were my daughter’s suggestion; she said they looked like moon rocks. 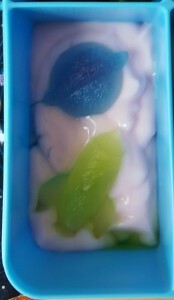 The bottom left section held strawberry yogurt with frozen flavored ice pieces on top in the shape of a planet and a rocket. I molded those in a Galactic Ice Tray. The main section held a ham and cheese sandwich made to look like a spaceship. 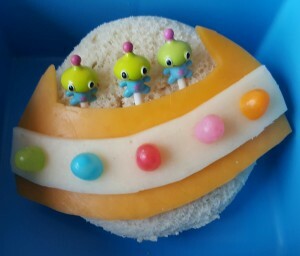 I decorated the sandwich with three green aliens, cheddar and provolone cheese, and bits of Mike and Ike candy. 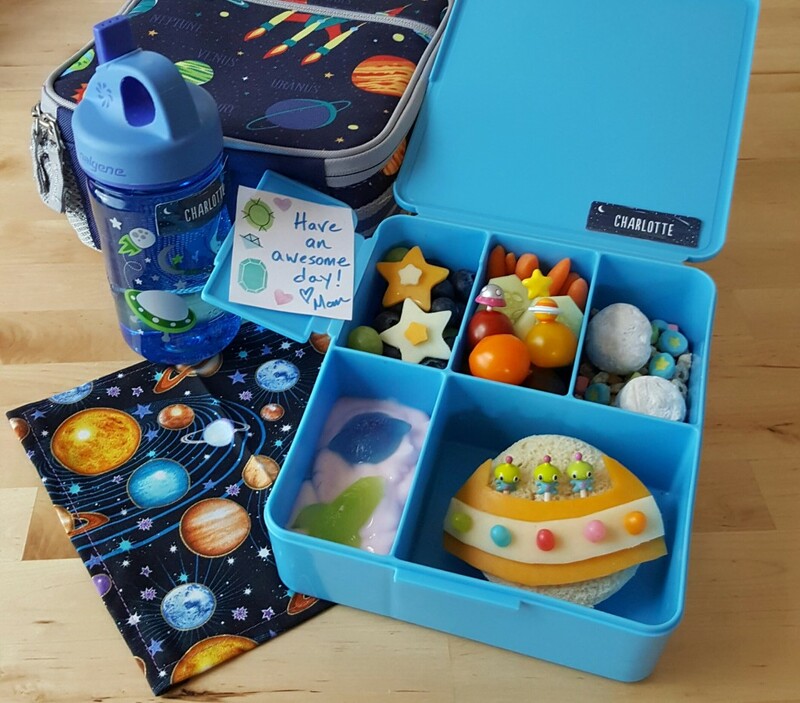 To complete the theme, I included a fabric napkin from Sew Chic Geek Boutique along with a water bottle, and a space themed lunch bag from Pottery Barn Kids. I labeled the bottle and lunchbox with custom designed labels from Minted. These labels are made to be highly durable and you have a lot of creative freedom when designing the labels. You can select the theme, type and size of font, number of lines of text, etc. 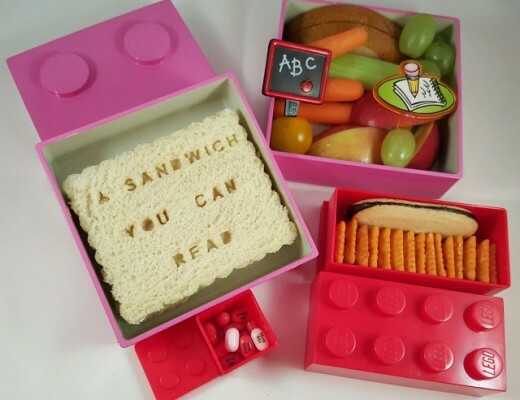 They are a fun way to clearly label items you want to keep up with and they are perfect for back-to-school prep. As a final touch, I included a free printable lunchbox note from Minted. They have several available and I selected the one above because the colors coordinated with the lunch. 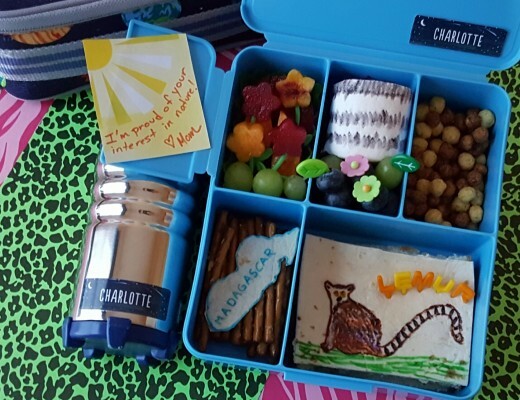 Disclosure: I received the name labels, lunchbox, and lunch bag for free. 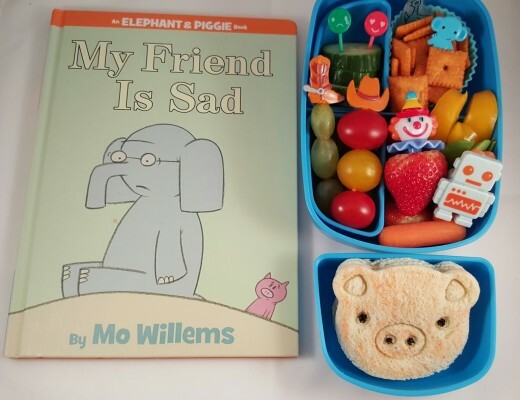 The lunch design is my own, I purchased the other items myself, and all opinions are my own.